Maris Sidenstecker II is co-founder of Save The Whales, founded in 1977. She designed a T-shirt at the age of 14 to save the whales after reading how they were slaughtered and has carried the passion of protecting marine life throughout her life. She developed and implemented hands-on interactive classroom programs for school children and has educated over 280,000 students about protecting the fragile oceans and the life within it. As a student, she assisted with field research on orca pods in Washington State and British Columbia. Maris is also an accomplished artist and followed up her original T-shirt with other designs. B.A. double major in Marine Biology/Zoology from Humboldt State University, California. Awards: Educator of the Year award in 2007 from The Monterey Bay National Marine Sanctuary and Association of Monterey Bay Area Governments (AMBAG), 2009 Member of The Year by Madison Who’s Who. The Save The Whales campaign is global in scope and dedicated to conservation. Based in Seaside CA, Save The Whales marine biologists’ travel throughout Monterey and Santa Cruz Counties to educate students to help protect the oceans. Each year they educate 6,000-7,000 students with hands-on, science based programs about whales, otters, sea turtles, and endangered species. Saving 10,000 marine animals from death from US Navy Ship Shock tests in 1994 was a ground breaking victory for Save The Whales. They reach an international audience through their website, E-newsletters and Facebook site. Since 1977, Save The Whales has educated over 305,000 school children with hands-on educational programs. This entry was posted in Afghanistan, Armed Forces, Climate Change, Education, Environment, The "War on Terror", Veteran's Issues, War Budget, War Reporting and tagged Afghanistan, Environmental Activism, PTSD, Veterans, War Reporting, Whales. This is the last show of 2015 and this week’s Monitor takes a look back at two of important stories from the year. The first is with William R Polk and is focused on the history of economic and political crisis in Greece. The second is with Dahr Jamail and examines climate change. Both of these interviews were conducted in July this year. An interview with Dahr Jamail on the “Sixth Great Mass Extinction Event” that is already underway. 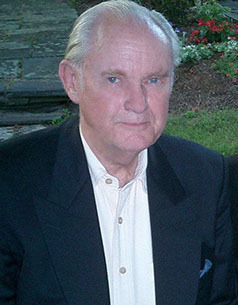 William R. Polk is a graduate of Harvard University (B,A. and Ph.D.) and Oxford University (B.A. and M.A.). He also studied at the Universidad Nacional de Mexico, the Universidad Nacional de Chile, the University of Baghdad and the American University of Beirut. Dr. Polk taught history and Arabic language and literature and helped to found the Center for Middle Eastern Studies at Harvard University from 1955 to 1961 when President Kennedy appointed him the Member of the Policy Planning Council responsible for the Middle East, Central Asia and much of Africa. On the Council, he also dealt with a number of special issues including development, refugees and cultural exchange. And there he was the head of various interdepartmental tasks forces on foreign affairs including efforts to end the Algerian war, the revision of American relations with Turkey and the Palestine problem. During the Cuban Missile Crisis, he served as one of three members of the Crisis Management Committee. During this period he was asked to become Deputy Commissioner General of UNRWA. In 1965, Dr. Polk resigned from government service to become Professor of History at the University of Chicago. There he established the Center for Middle Eastern Studies and was a founding director of the American Middle Eastern Studies Association. In 1967 he became the founding director (later President) of the Adlai Stevenson Institute of International Affairs which, among other ventures, hosted the 20th Pugwash Conference on nuclear weapons and did much of the planning for the United Nations Environment Program. He was called back to the White House briefly during the 1967 Middle Eastern war to write a draft peace treaty and to act as assistant to the former Director of the National Security Council and then the President’s special assistant, McGeorge Bundy. In 1970, at the request of Israeli Prime Minister Golda Meir he successfully negotiated with President Nasser of Egypt a ceasefire on the Suez Canal. Born in Fort Worth, Texas, he grew up there and on a nearby ranch. He attended public school in Fort World and, during the Second World War was trained for the cavalry at the New Mexico Military Institute. After the war ended, he worked on a newspaper in Rome before entering college. He was awarded four Rockefeller Foundation, one Ford and one Guggenheim fellowship and, during his time in government, he received a commendation from the Department of Defense and the Medal of Honor from the Kingdom of Afghanistan. Dr. Polk has traveled extensively throughout Latin America, Asia, Africa and Europe and speaks several of he languages of those areas. He has written a number of books and has served on the boards of various foundations and businesses. In addition, he has acted as an advisor to the chief executives of a dozen major corporations. Dr. Polk has lectured in over a hundred universities, including Harvard, Brandeis, Yale, Princeton, Columbia, Johns Hopkins, Chicago, Northwestern, SMU, Texas, UCLA, Berkeley, the University of Colorado, and research institutions including The Council on Foreign Relations, the Canadian Institute of International Affairs, the Royal Institute of International Affairs (Chatham House), Brookings, and the Soviet Academy of Sciences. In addition he has appeared frequently on radio and television programs including CBS, ABC, PBS, BBC, Channel 24 (Paris) and a large number of local stations. He has also spoken to many public affairs groups, clubs and civic organizations. Dahr Jamail (@DahrJamail) is a Truthout staff reporter and the author of The Will to Resist: Soldiers Who Refuse to Fight in Iraq and Afghanistan, (Haymarket Books, 2009), and Beyond the Green Zone: Dispatches From an Unembedded Journalist in Occupied Iraq, (Haymarket Books, 2007). Jamail reported from Iraq for more than a year, as well as from Lebanon, Syria, Jordan and Turkey over the last ten years, and has won the Martha Gellhorn Award for Investigative Journalism, among other awards. His third book, The Mass Destruction of Iraq: Why It Is Happening, and Who Is Responsible, co-written with William Rivers Pitt, is available now on Amazon. He lives and works in Washington State. …the most important development this month is clearly a recently published study in Science that states, unequivocally, that the planet has officially entered its sixth mass extinction event. The study showed that species are already being killed off at rates much faster than they were during the other five extinction events, and warned ominously that humans could very likely be among the first wave of species going extinct. This entry was posted in Austerity, Bankruptcy, Banks, Climate Change, Debt, Democracy, Economic Inequality, Economy, Greece, Radio Shows and tagged climate change, Economic Inequality, Economy, Environmental Activism, Greece. This week’s show focuses on environmental issues through an examination of the Pickens Plan and the targeting of environmental activists. Our guests are Josh Fox and Will Potter. Josh Fox is the founder and artistic director of the International WOW Company. Josh has written/directed/produced two feature films and over twenty works for the stage which have premiered in New York, Asia and Europe. His narrative feature film debut MEMORIAL DAY (2008), is a jarring roller coaster ride from the beaches of girls-gone-wild spring break to the torture chambers of Abu Ghraib. His most recent film is Gasland (2009) which takes a long look at ‘Fracking’. Josh earned his BA from Columbia University. Will Potter is the Author of the new book “Green Is the New Red: An Insider’s Account of a Social Movement Under Siege”. Will is an award-winning independent journalist based in Washington, D.C., who has become a leading authority on “eco-terrorism,” the environmental and animal rights movements, and civil liberties post 9/11. He has tracked how lawmakers and corporations have labeled animal rights and environmental activists as “eco-terrorists.” And he has closely followed the Animal Enterprise Terrorism Act, the Earth Liberation Front arrests in “Operation Backfire,” and the landmark First Amendment case of the SHAC 7. Will has testified before the U.S. Congress on his reporting, and frequently speaks with journalists and in public forums about efforts to roll back civil liberties in the name of fighting terrorism. This entry was posted in Department of Homeland Security, DOJ, Environmental Activism, Gasland, Mentioned on Air, News And Analysis, Uncategorized and tagged Environmental Activism, Gasland.